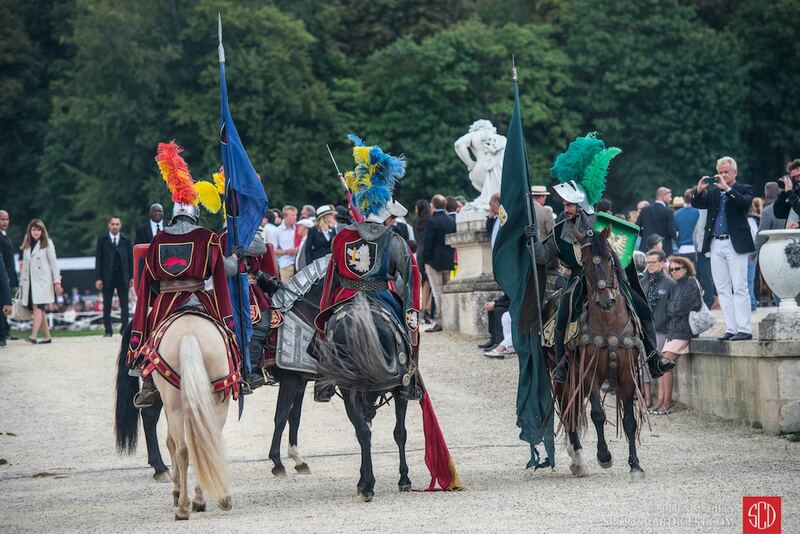 The Chantilly Arts and Elegance Concours d’Elegance 2015 was held 5-6 September in France on the grounds of the Domaine de Chantilly, located in the town of Chantilly between Calais and Paris. 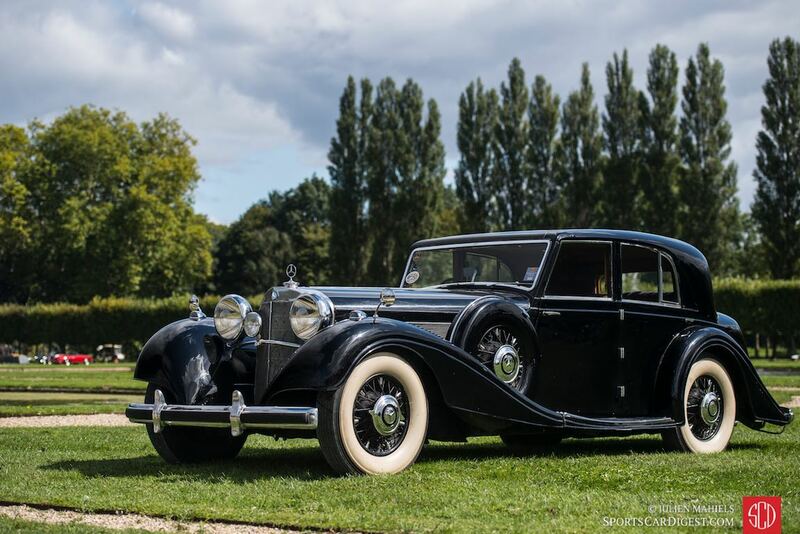 The second annual event again celebrated the return of the Concours d’Elegance to France, a national tradition dating from the 1920s. 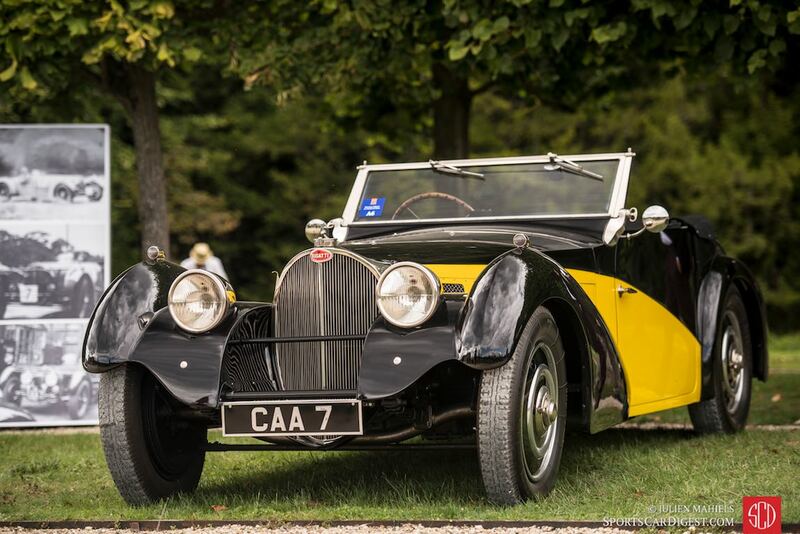 Held in Le Notre gardens in the Chateau in Chantilly, the Peter Auto-organised Concours confirmed the success of last year’s event, as the event welcomed 13,500 visitors, a 35 percent increase compared to the first running in 2014. 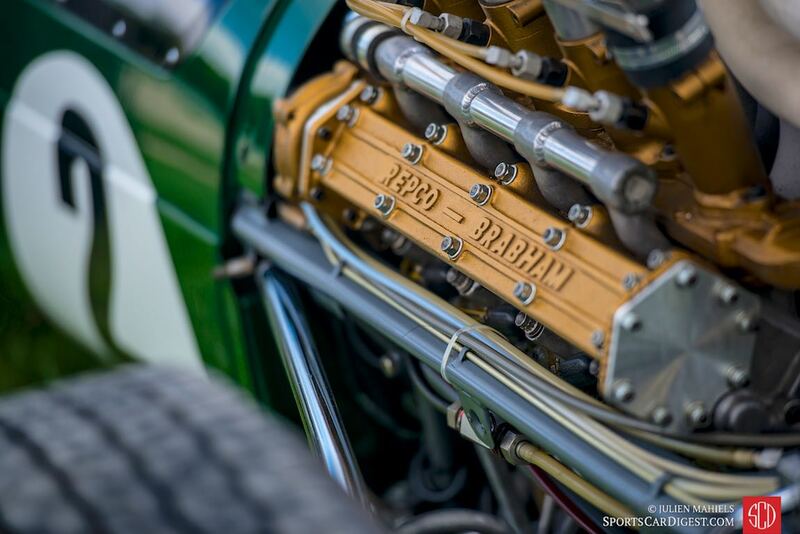 Similar to last year’s event, the Chantilly Concours d’Elegance 2015 consisted of three judged events – a Concours d’Etat for classic cars, a modern car Concours d’Elegance and a competition for the invited car clubs on the quality of their presentation, the diversity and the originality of the models presented. The weekend also included a rally through the scenic Chantilly and Selis countryside. 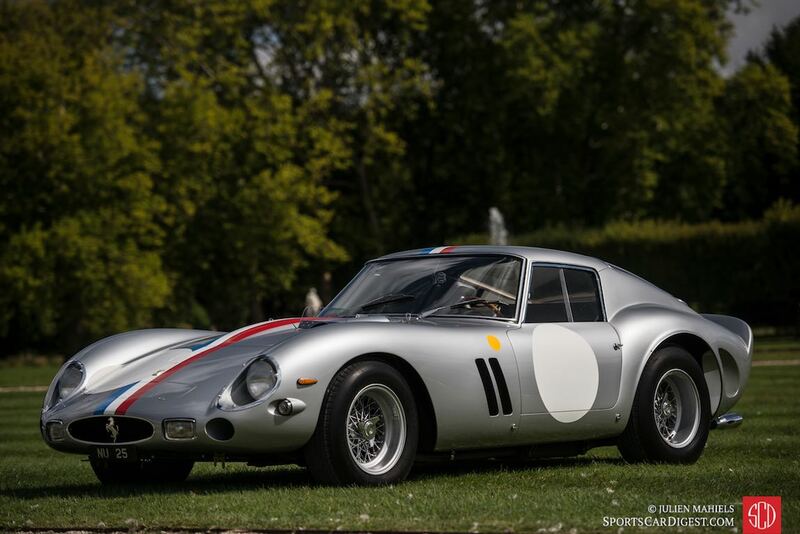 Displayed in the heart of the Chantilly gardens, the Concours brought together 100 exceptional cars divided into ten classes, each showing their curves amid the castle’s flowerbeds. 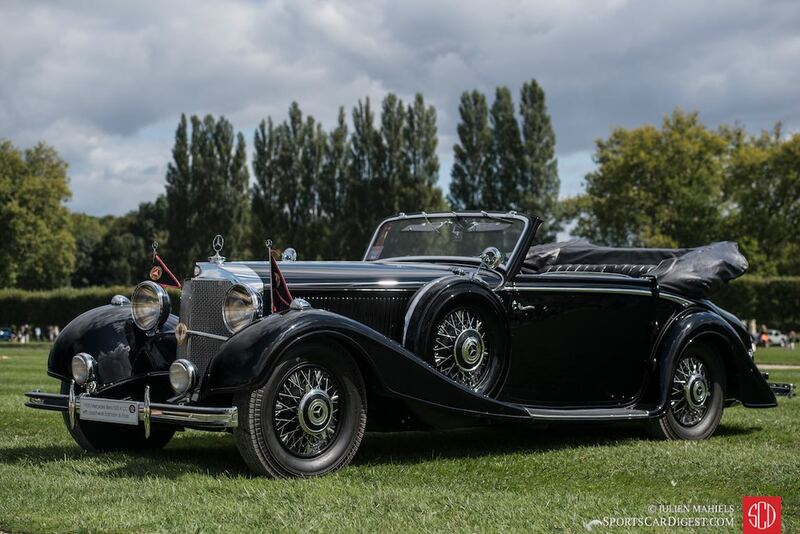 Best of Show at the 2015 Chantilly Concours d’Elegance was awarded to the 1936 Mercedes-Benz 500K Special Roadster of Everett Louwman. According to the Louwman Museum, this is one of 25 luxuriously finished ‘Spezial’ Roadsters manufactured out of a total of 350 type 500Ks. This car was delivered to a successful London shipping insurer in 1936, while in the 1950s it was acquired by a butcher from Walsall. He used the car regularly but in 1956 he stored it in his barn, where it was rediscovered some 30 years later. Car enthusiasts consequently refer to it as ‘the butcher’s car’. At the end of the 1980s the car was sold at auction to a Swedish collector, who had the car restored in Germany. The car won first prize in its class at Pebble Beach in 1994, and in 2006 it won the Briggs Cunningham Trophy, also at Pebble Beach. Other notable awards included the 2015 BMW 3.0 CSL Hommage R winning the Best Concept Car and the Prix FIVA award went to the 1939 Bugatti Type 57C of the Keller Collection. 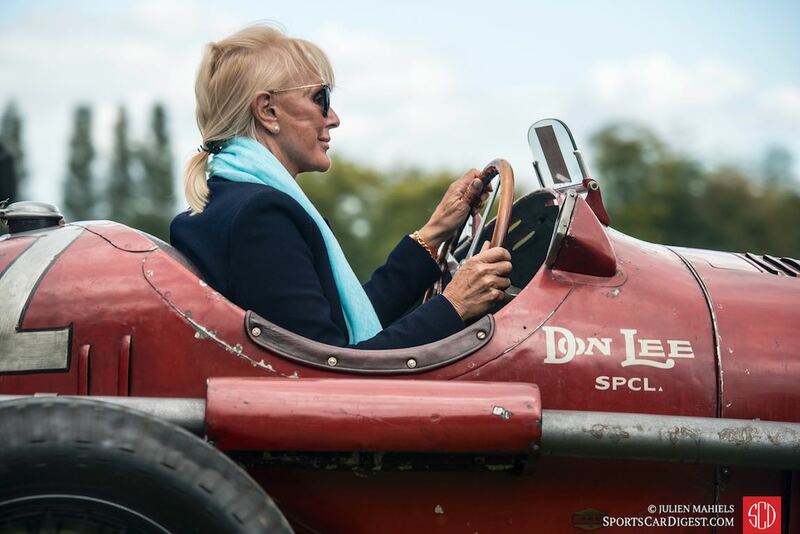 Similar to 2014, Sports Car Digest also documented the Chantilly Concours d’Elegance 2015, with Senior Photographer Julien Mahiels offering the following great pictures showing the serene setting at Domaine de Chantilly. We split up Julien’s photos into two galleries. The first gallery starting below features our favorite images, all displayed in the full-width view of Sports Car Digest, while the second gallery and award winners can be found on the last page of the article and gives a comprehensive view of all the photographs. To see more from Julien, visit julienmahiels.net. Thank you for Julien Mihiels’ gorgeous work at Chantilly. I think Pebble Beach just got knocked down a notch into second place. Thank you!!! 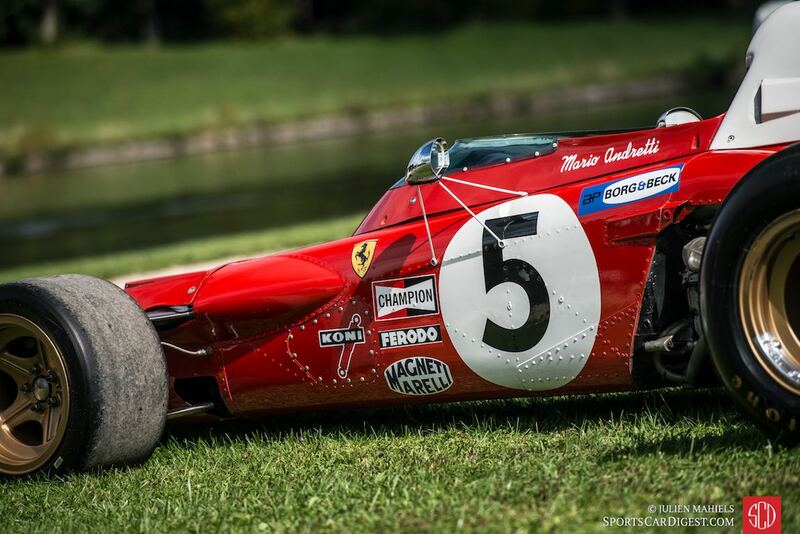 Wonderful way to cover an event, photographing the whole event and not just the cars. People and environment are just as important as the cars. The colors are a bit muddy because of underexposure. Nice coverage! Great work and I personally loved the detail shot of the Mercedes Gullwing door! Julien, fantastic coverage of this event! A variety of shots to include the environment, cars, details, etc! Having been to Chantilly (the year before we left the UK) I know the expanse of the grounds and you have your work cut out for you. After living in the UK and attending a variety of automobile events, I agree that Pebble Beach and the entire Monterey Car week have been knocked down a bit. That said, why does SCD not cover the annual Porsche event Classics at the Castle? This is a huge event for Porschephiles and folks come from allover the UK and mainland Europe for this event. I know as I not only attended this event but also photographed it for SCD when Porsche celebrated 50yrs of the 911. What a beautiful location. Then I realized it is from “A View To A Kill”.